Every website development project is different, and some go smoother than others. Some take a month or two, whilst others take a year – or even more – in extreme circumstances. There are also errors and problems that you notice during the development process that can only be fixed and edited once the website is put live. Not at all ideal. In the past, these kinds of problems would have forced a website development team to have to go into the website management system – be it a website development program or CMS – to find out what was wrong with the website, correct the issue and put those changes live. However, in 2018, any ‘good’ website development platform should offer a ‘staging environment’. Some staging environments are more sophisticated and effective than others, but they all have one thing in common: they allow website designers and developers to construct and view a ‘complete’ website in a test environment. This test environment allows them to run some much-needed quality assurance prior to hitting the big publish button and putting the website live to the world. A staging environment is a replica of a production environment and is designed specifically for testing. From a website development perspective, website developers can use a staging environment to test web pages as if they were live on the website, allowing them to identify issues and rectify them before website launch. Also, as staging environments are independent from the rest of the website, any changes made within the staging environment will not be reflected on the actual ‘live’ website. 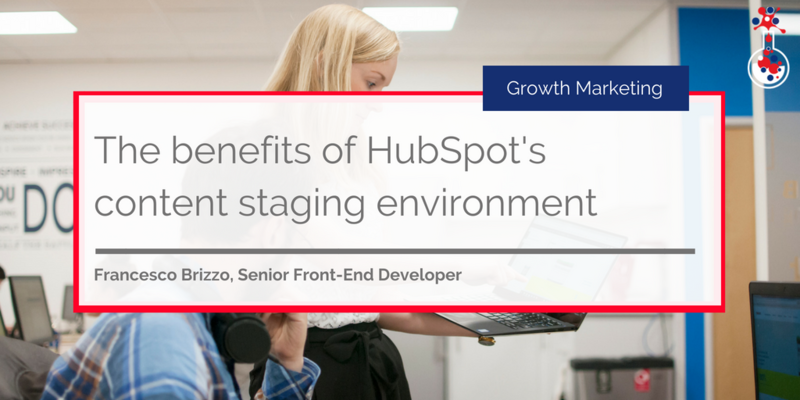 So what’s HubSpot’s staging environment? 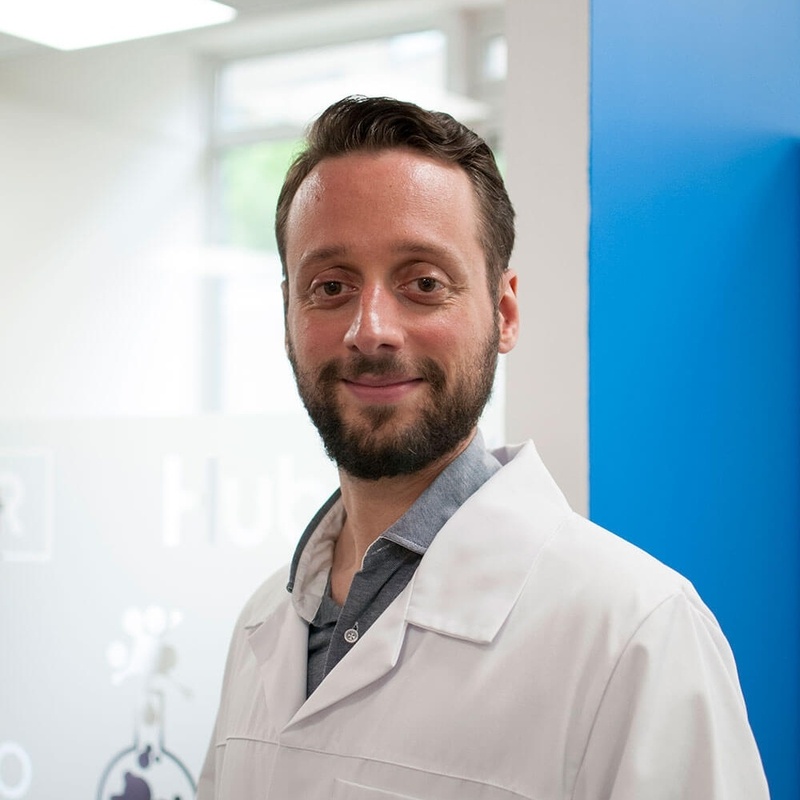 HubSpot’s staging environment, known as Content Staging, gives you the perfect way to create, test and view your website in an environment independent of your actual website. Links, buttons, URLs – and much more – all function as they would if the website was live. It allows you to manage all of your new and/or existing pages in one place. Landing pages, thank you pages, web pages, calls-to-action (CTAs) and much more, can be tested within the staging environment before you publish them and pages can be scheduled for later if necessary. Any live page(s) pushed to the staging area are duplicated so as not to mess with the current live page(s), and retain their links, page titles, meta descriptions and URLs. Any changes to the page(s) can be published to the live page(s) when you are ready, ensuring you keep all your SEO information and value and don’t have to go through your website changing URLs and setting up redirects. HubSpot’s staging environment is incredibly useful. Knowing just how your website will look and function before it goes live will help you to troubleshoot any issues before publishing and ensure everything works correctly, rather than having to publish and investigate individual web pages. So whether you are building your HubSpot-hosted website or moving your website from WordPress (or a similar CMS) to HubSpot, HubSpot’s staging environment will be able to help. To use content staging, you need the HubSpot website add-on. With HubSpot’s Content Staging, you no longer have to assume what your website might look like once it’s live, how it might function/respond or whether it works correctly on different devices. HubSpot’s Content Staging gives you the perfect environment in which to test your website thoroughly before publishing and clearly see what it will look like once it’s live. 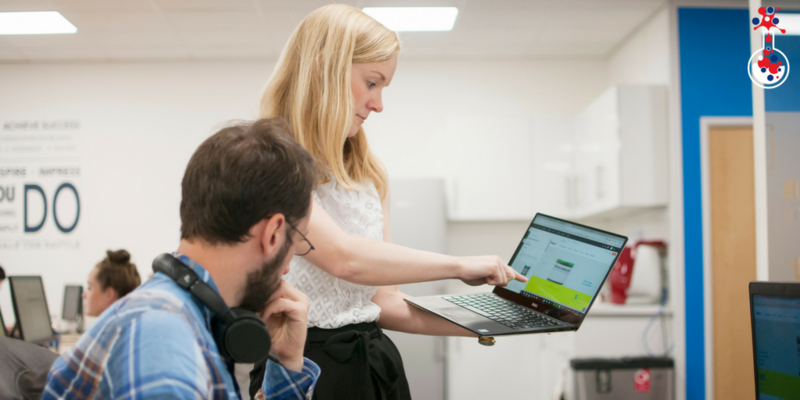 We use the HubSpot staging environment throughout our HubSpot website design process, and use it for all of our new builds to ensure the builds go as smoothly as possible, from the initial plan all the way through to sign off from the client. If you want to find out more about HubSpot website design, why not download our free eBook: Your Ultimate Guide to HubSpot Website Design by clicking the button below.